Hearthstone Homes Inc. is a custom builder located in Berks County Pa. I met with Chris Naso to discuss his needs, and together, we identified several key objectives for this website project. He was looking for a website that reflected clean design and quality construction. He was looking for a modern portfolio to be able to display the magnificent homes they have completed. He wanted a website that was expandable as his needs change. I was happy to have the opportunity to take this project and run with it. Chris gave me a lot of autonomy in the initial concept design. 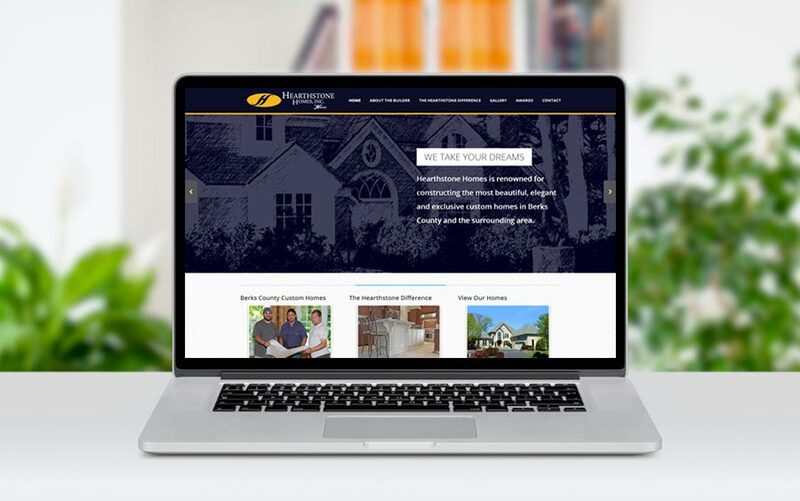 We are proud to announce the launch of the Hearthstone Homes Inc. company website.